Pinocchio’s Daring Journey Fantasyland dark-ride attraction at Tokyo Disneyland, opened on April 15, 1983; also at Disneyland, opened on May 25, 1983. 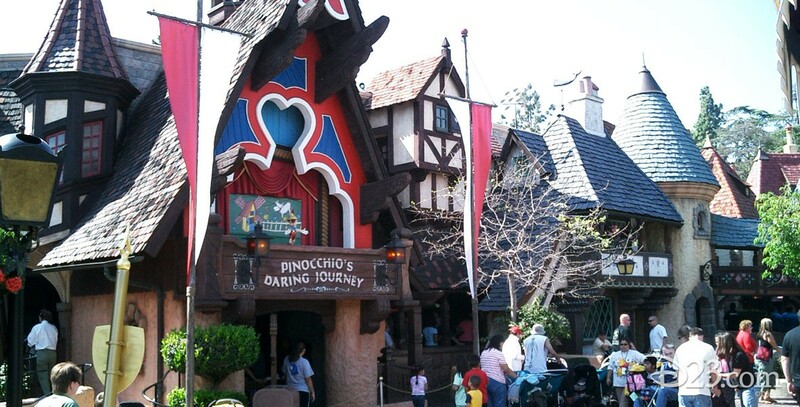 See also Les Voyages de Pinocchio for the Disneyland Paris version. This attraction had been in design at WED Enterprises for many years, with a plan of putting it at Disneyland, but the schedules for the new Fantasyland there and the Tokyo Disneyland park resulted in the attraction premiering in Tokyo a month before it opened at Disneyland. Makes ample use of special effects, including holograms and fiber optics.